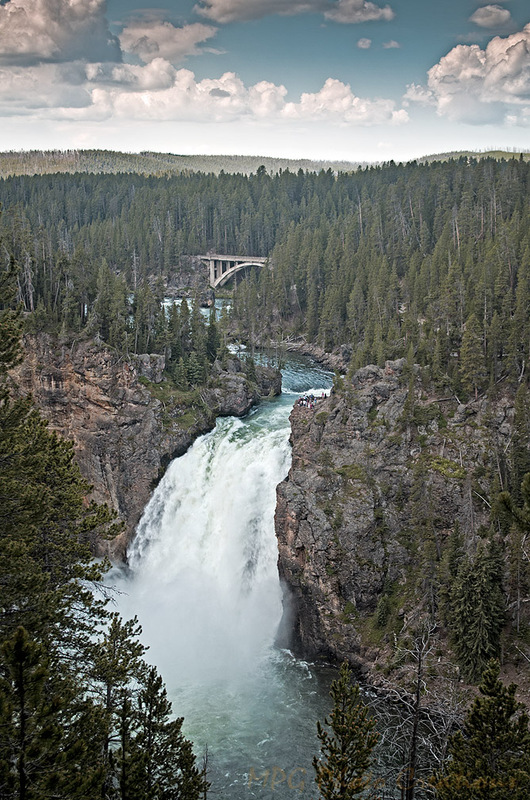 This is the Upper Falls of the Yellowstone from our trip to Yellowstone national park this past July. The water was flowing very strong. You can see people off to the right hand side on an overlook if you enlarge the photo which we went to as well where you can get quite close to the falls.